Owen provided commissioning services for the new, state-of-the art fire station located in Riverside County. The 9,400 square foot fire station has two-apparatus bays for an eight-person crew and is expandable to accommodate three fire apparatuses and up to twelve (12) firefighters. The project is certified LEED Silver. 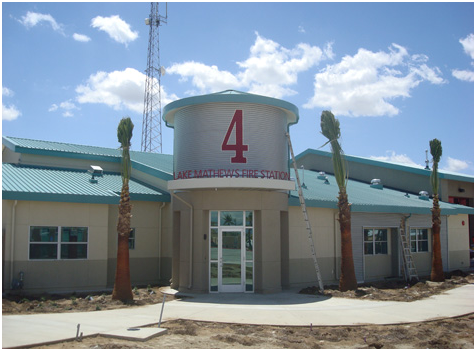 The new Lake Mathews Fire Station replaces the 2,866 square foot Cajalco Fire Station #4 that was built in the 1950’s. When the Cajalco Fire Station no longer met the community’s needs for rapid response to fires and other emergencies, the County of Riverside and the Western Municipal Water District collaborated and proposed for an environmentally designed and cost effective essential services facility.